When the U. S. Marines of Company B, 1st Battalion, 6th Regiment attacked the Taliban stronghold of Marjah in Afghanistan in 2010, they knew what to expect from the terrorists: lethal resistance, heavy fire, and constant danger. Extraordinary things happened in the course of the battle. Lance Cpl. Andrew Koenig received a direct shot to the head from a Taliban sniper while he was standing guard on a rooftop outpost. The impact of the bullet hit him with such violence that it hurled Lance Cpl. Koenig flat onto his back. After being rushed to the company aid station to assess the gravity of the injury, however, a baffled Navy corpsman verified that the projectile had only left a thumb-size dent in the Marine’s hard Kevlar helmet. With a visible lump on his forehead, the brave Marine quickly returned to his dangerous post. For many heroic Marines like Lance Cpl. Koenig, Semper Fidelis is not just a slogan, but a way of life. But next to him was Cpl. Christopher Ahrens, who quietly mentioned that two bullets had grazed his helmet the day the Marines attacked Marjah. The same thing, he said, happened to him three times in firefights in Iraq. Cpl. 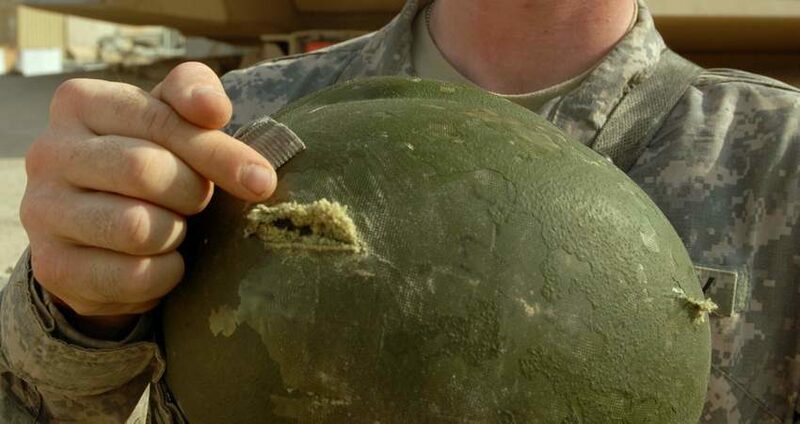 Ahrens “lifted the camouflaged cloth cover on his helmet, exposing the holes where the bullets had entered and exited,” reports The Wall Street Journal. “He turned it over to display the picture card tucked inside, depicting Michael the Archangel stamping on Lucifer's head. ‘I don't need luck,’ he said.” Read the full article here: U.S. Marine Walks Away From Shot to Helmet in Afghanistan.